Lyons/Zaremba has designed aquarium experiences around the world for nearly thirty years. 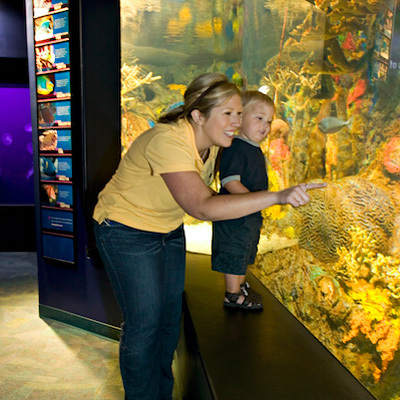 Our projects have ranged from large, new facilities to renovations for smaller, regional aquariums. Regardless of size, each project is given careful thought to ensure that it is both a hit with visitors and a good value for our clients. We design exhibits that provide the best environments and conditions for animals, serve the requirements of husbandry, veterinary, and maintenance staff, and enlighten visitors with engaging experiences and educational storytelling. In effect, we design exhibits with three primary constituents - the animals, the husbandry staff, and the visitors. By balancing these factors, we have created aquarium and zoo projects that are highly regarded by visitors and industry professionals alike.